How Can Locum Tenen’s Help the Problem of Physician Burnout? How Can Locum Tenen’s Help the Rising Problem of Physician Burnout? Physician burn out is becoming an increasing issue in the healthcare industry. 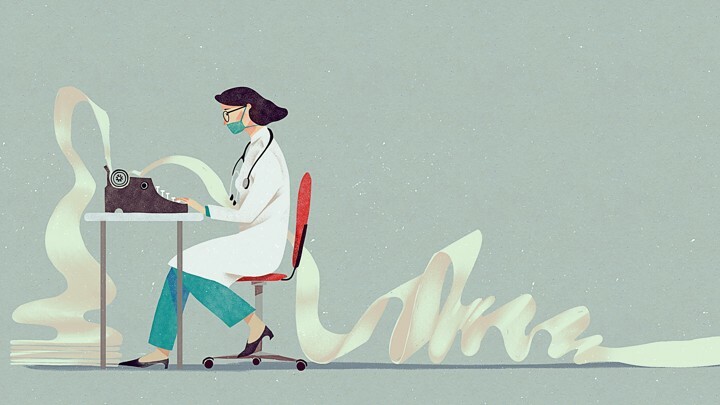 With more and more doctors reporting that they are cutting back on seeing new patients, switching to part-time, or retiring early due to exhaustion in their field of work. The healthcare industry is already hurting from a lack of providers and an increase of patients, it’s time to start asking how we can relieve this issue. As a provider and as a healthcare facility, having locum providers relieves the stress and demands of the staff. A facility can see and tend to more patients, while providers can spend more time building relationships and in turn providing strong quality of care. Being a healthcare provider is an inherently difficult job. Working with a short staff and delegating tasks shouldn’t be an added issue. Providing the extra coverage goes a long way. To help combat physician burn out, providers should be able to take a break! Take some well-deserved time off and get away from the practice. One of the many benefits of having locum tenens providers on staff is they can easily provide coverage while permanent providers go on leave to ensure patients are still be seeing and there is not a delay in services. Not having a provider to see patients means the facility must turn them away. Having a locums provider on staff is a huge financial benefit to a healthcare facility. It helps to limit revenue loss. Not to mention, as a locum tenen’s provider, you gain the potential of extra income. Locum tenens is great way to help the issue of physician burn out. Contact our experienced recruiters and find out how locum tenens can help you today!